Everyone has a favorite kind of cookie, right? I mean who doesn't love a good cookie? But I feel like people don't give them enough credit. They're not fancy enough. Not good enough to be the dessert at your dinner party. Kids stuff, you might say. Well, I say they're delicious, and there's no reason a yummy cookie can't be the star of your next gathering. 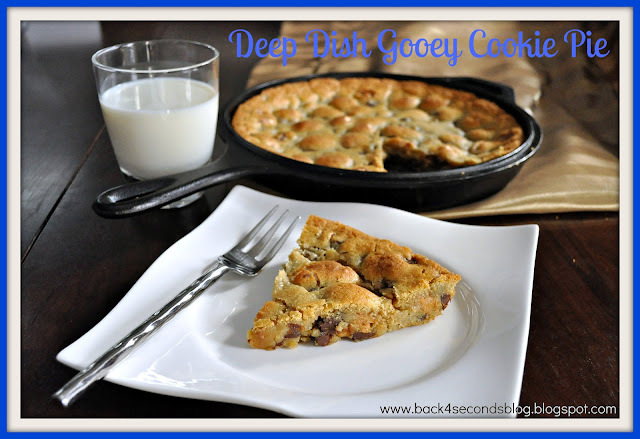 Just call it Deep Dish Gooey Cookie Pie, bake it in a deep skillet, and I assure you no one will turn up their nose at having "just a cookie" for dessert. There are a thousand variations you could make, but I adore the ever popular chocolate chip cookie, so that's what I used. Feel free to mix it up and use whatever cookie dough is your favorite. Press half of the dough into a greased 12" cast iron skillet. Top with dollops of peanut butter evenly all over the dough. Sprinkle with marshmallows. Top with remaining cookie dough, making sure to spread it evenly. Sounds really good and easy! I love that you put peanut butter on top! That's genius! You had me at GOOEY! I am a cookie monster and love simple recipes like this. Also - I just LOVE your header...purple is my favorite color and I love that font! Have a wonderful week. I'm visiting from the link up! This looks AMAZING! I'm a cookie fanatic, so I'll be trying this as soon as possible. Thanks for sharing! Oh wow this looks SO good!! Thanks for sharing! This looks so good! Drooling over here. Wow! That looks way too good!! That would be great for a summer pot luck! All I can say is - WOW! Just had to check out this recipe after seeing the picture. What a great combination. Oh my! Wonderful start to my morning. This looks so tasty! Awesome. I am pinning this later. Thank you so much for sharing at Must Try Monday! Yum! I bet the added marshmallows are fantastic. Oh boy! 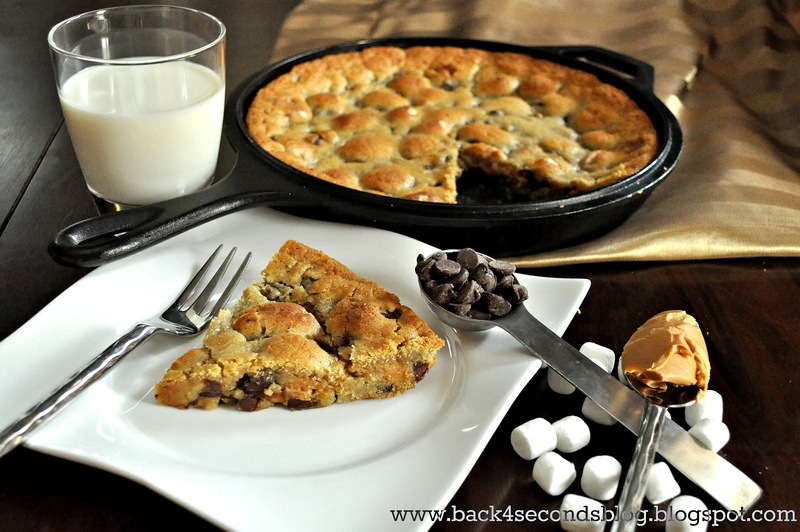 Now you have me craving chocolate chip cookies like no other:-) I bet the extra peanut butter and marshmallows in this creates and awesome gooeyness!!!! I don't cook, or bake... This is the point where I call my husband (who does both and loves it - thank god!) and get him to make it! Oh Boy this look amazing! Thanks for sharing at Beautify It Monday! This is my kids favorite! Yours looks amazing. Yum! Wow. I can't wait to try this. It looks so delicious! I am such a sucker for all things sweet! Thanks for linking up at Whimsy Wednesday! mmmmmmmmmmmmmmmmmmmmmmmmmm looks awesomely yummy! gotta try this! Just wanted to tell you I whipped this up last night and can't stay out of it. I'm not even fond of marshmallows, but this dish is incredibly delicious. So glad you shared! This would be such a big hit with the kids, thanks for sharing! 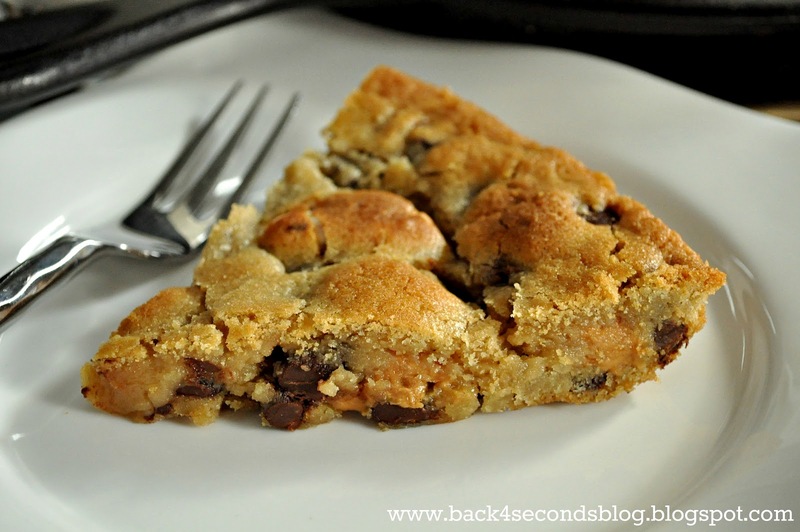 Do you have your chocolate chip cookie recipe? Thanks for posting! Sounds awesome! I am following you and liked you on Facebook, if you'd like I'd appreciate the return. Thank You! Have an awesome weekend! Oh yum!!! What a great idea, this looks absolutely wonderful!!!! Oh my goodness...cookie pie?! Yes please! Thanks for linking up at this week's party! Mmm, this looks so good! 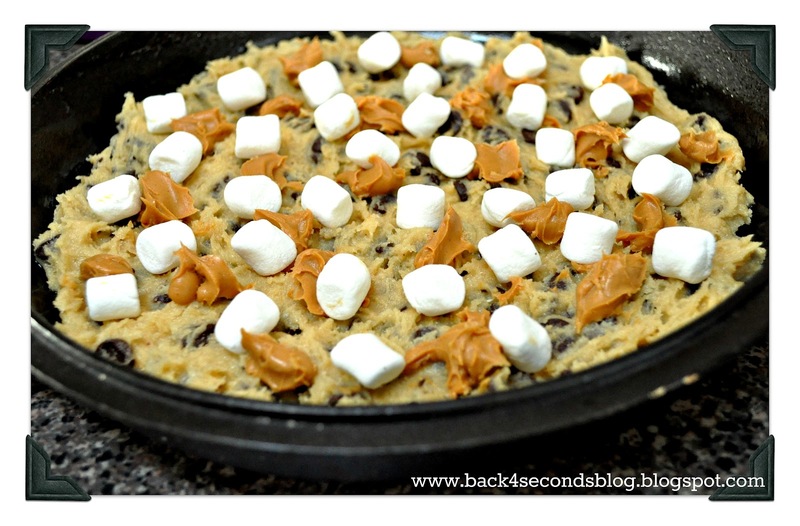 Love the peanut butter and mallows on top! Thank you so much for sharing over at Weekend Potluck. I shared this on my facebook wall today! I did notice though that Weekend Potluck wasn't included in your list of linky parties that you link to each week. We like to make sure folks know how to get to our linky party to participate if they would like or to at least look at all the recipes that are shared. 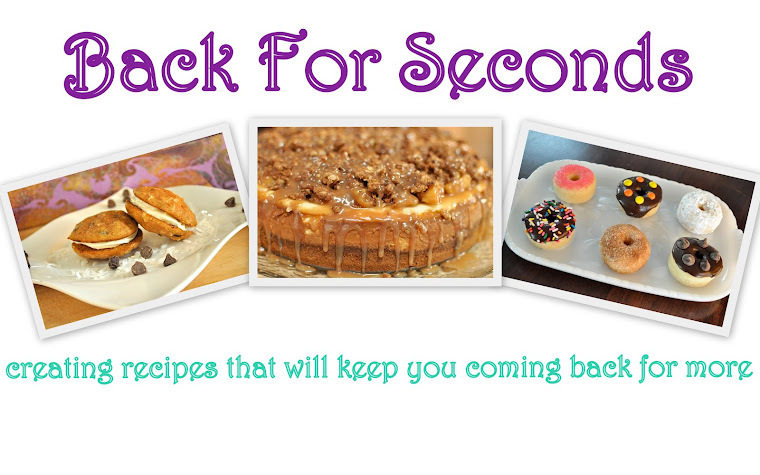 To be a featured recipe our link does have to be included on your main blog post though. I really appreciate you sharing this with us. It looks SO good! Yum ... that looks so delicious! I'm pinning! The title alone has me drooling!!! :) Deep dish and gooey... YUM! Thanks for sharing at oopsey daisy! This looks fabulous. I'm pinning it! Thanks for sharing at Showcase Your Talent Thursday. I hope to see you there next week! What a perfect dessert! I would love to have a slice of this right now. Yum! well, this made my mouth water - looks delish! OMG! Found you on Craftastic Monday.... This looks ridiculous! I almost made something like this, last night. I was craving CC cookies. This looks amazing. I saw you on Stone Gable's "On the Menu Monday." I'm not sure which recipe I like best! Thanks for joining Southern Sundays! You've been featured! Thanks so much for sharing! I love a rich cookie pie. It has all the goodness of cookies with a lot less work. Please share this on my foodie friday linky today. Looks great! I love your addition of marshmallows and peanut butter!! What the..? Is this real life? Duuuuuuuude, I'll make the margs, you bring the cookie pie, deal?! OMG. Oh, my goodness! There are so many yummy ingredients in that recipe! It looks fabulous. Headed to like you on facebook. This looks so good! Love chocolate peanut butter! OK, I want this now, for morning snack, with my coffee! Pinned!